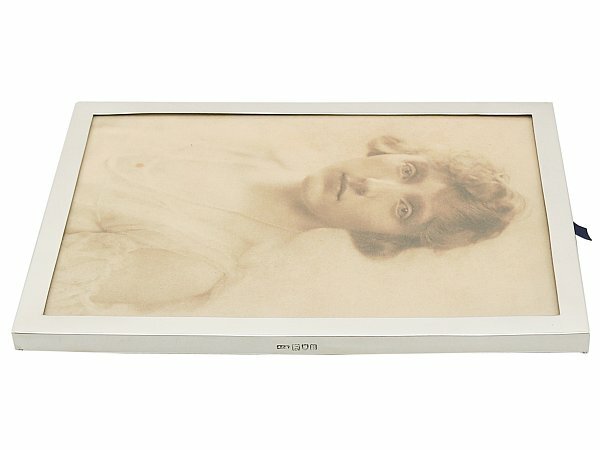 This exceptional antique George V sterling silver photograph frame has a plain rectangular form. 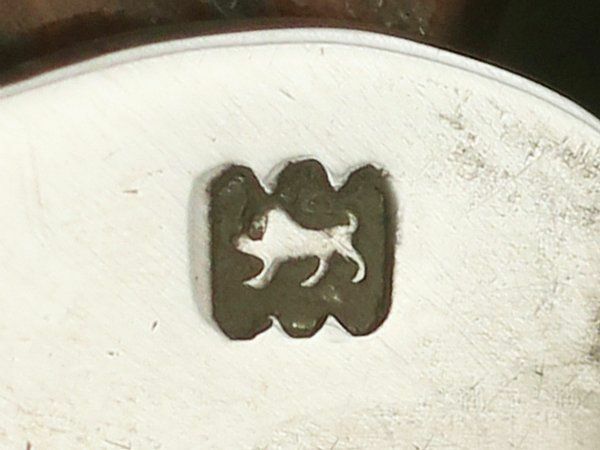 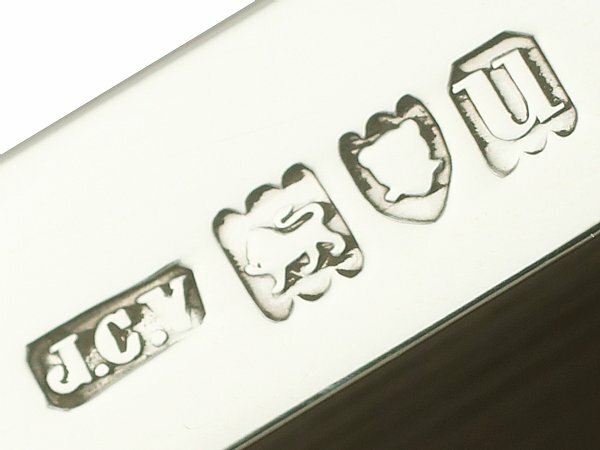 The surface of this hallmarked silver frame is plain and unembellished. 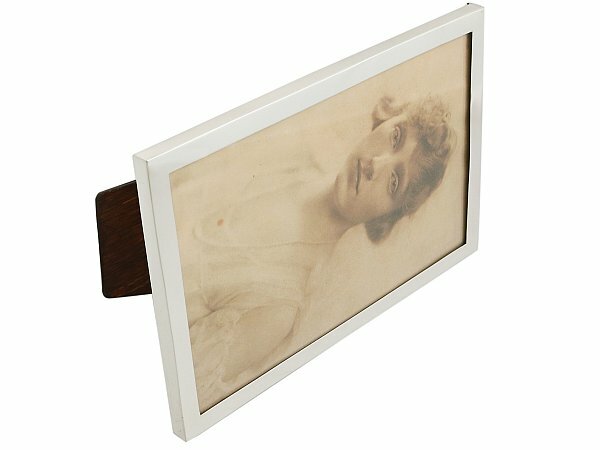 This silver photograph frame is fitted with a fine and impressive oak wood back and hinged strut secured with two hallmarked silver swivel catches; the silver portion securing the oak wood back and the hallmarks to the catches indicate the high quality of the piece. The versatile strut facilitates the frame to be situated in either a portrait or landscape stance. 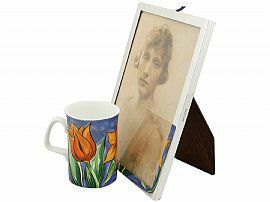 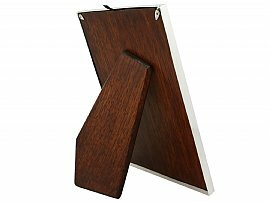 This impressive photograph frame is inset with a removable glass panel. 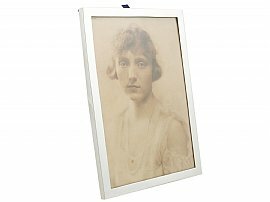 This antique hallmarked silver frame is a superior gauge of silver, exceptional quality and in exceptional condition. 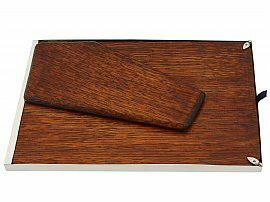 The original oak wood back has been professionally polished by a cabinet maker and is in presentation condition. Full hallmarks struck to the surface of the rim are very clear; the hallmarks are struck deeply due to the superior gauge of silver. 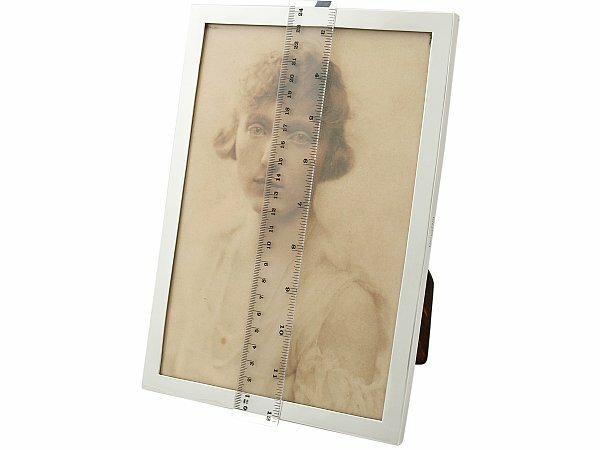 Height of internal window 22.1cm/8.7"
Width of internal window 14.6cm/5.7"